Need a last minute gift with a little sweetness? Does the pretty, pretty princess in your life have frosty feet? 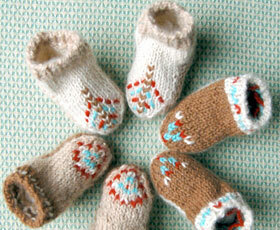 You can knit these slippers in two nights with only one ball of yarn.